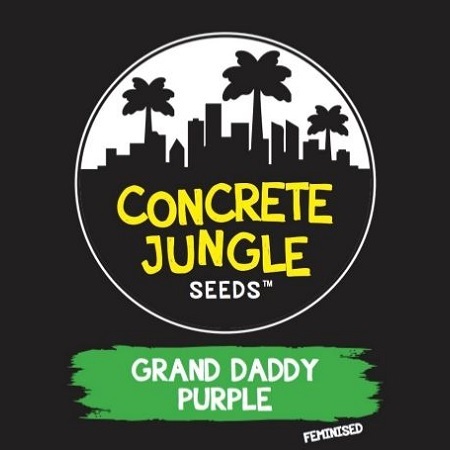 Grand Daddy Purple from Concrete Jungle Seeds is an Indica-dominant hybrid..
Grand Daddy Purple Feminized Marijuana Seeds by Concrete Jungle Seeds: Grand Daddy Purple from Concrete Jungle Seeds is an Indica-dominant hybrid characterized by its violet colors, grape aroma and powerful relaxing effect. 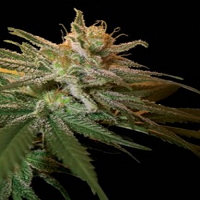 The variety Grand Daddy Purple, also known as GDP, is a famous Californian cultivar that has consistently conquered growers and smokers around the world with its bold colours and fruity, sweet scent. 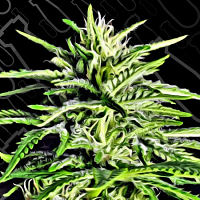 Flowering will take 8 to 10 weeks indoors, with the purple colours usually appearing during the sixth week of flowering, and becoming more pronounced with low nighttime temperatures. 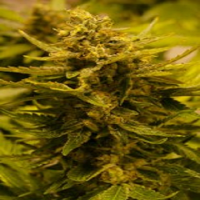 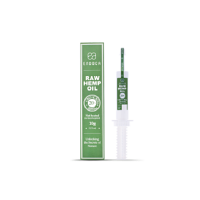 Its flowers are dense and compact, covered with resin, and must be protected from excessive moisture during the last weeks of flowering. 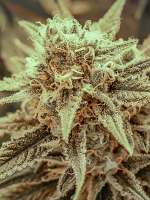 The effect of Grand Daddy Purple is deeply relaxing, making it potentially useful for fighting insomnia, pain and stress.